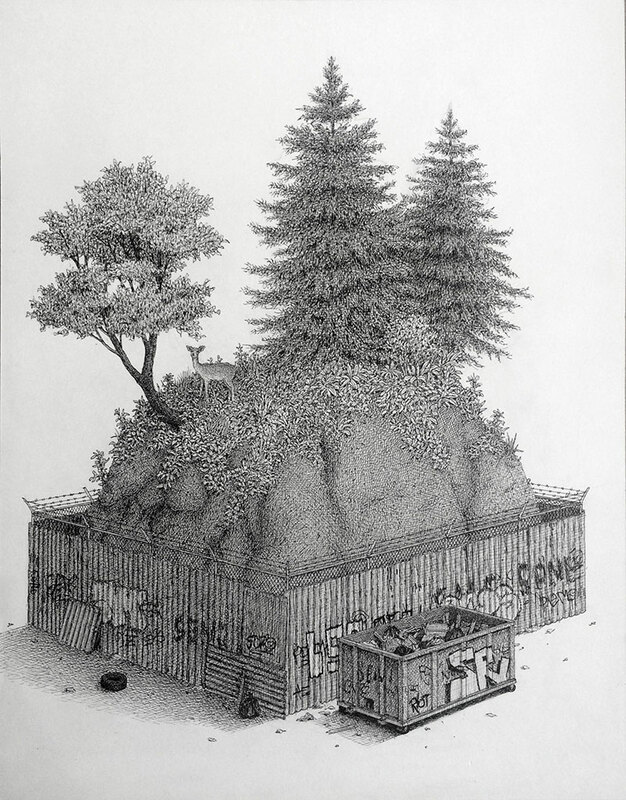 After spending some time in Bosnia, Washington DC-based artist Ben Tolman created a series of ink drawings that depicts the urban sprawl of Sarajevo. 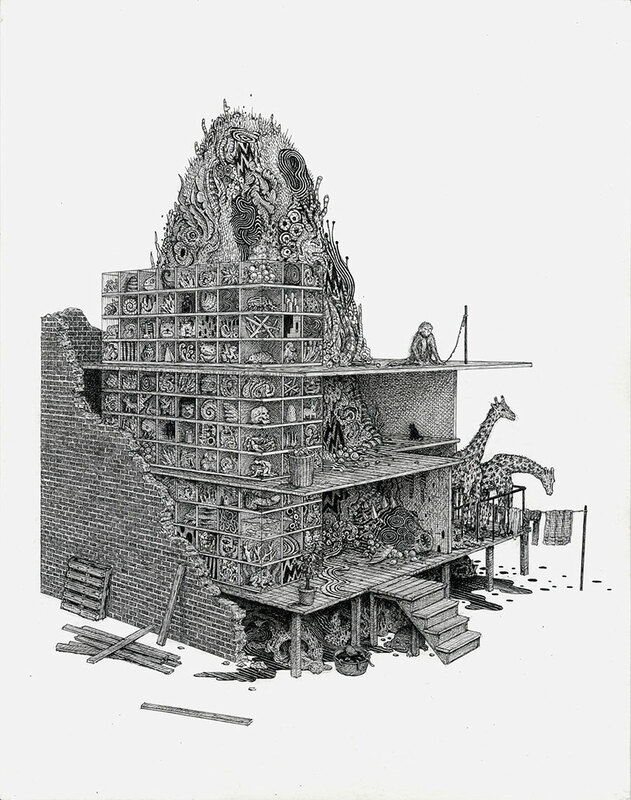 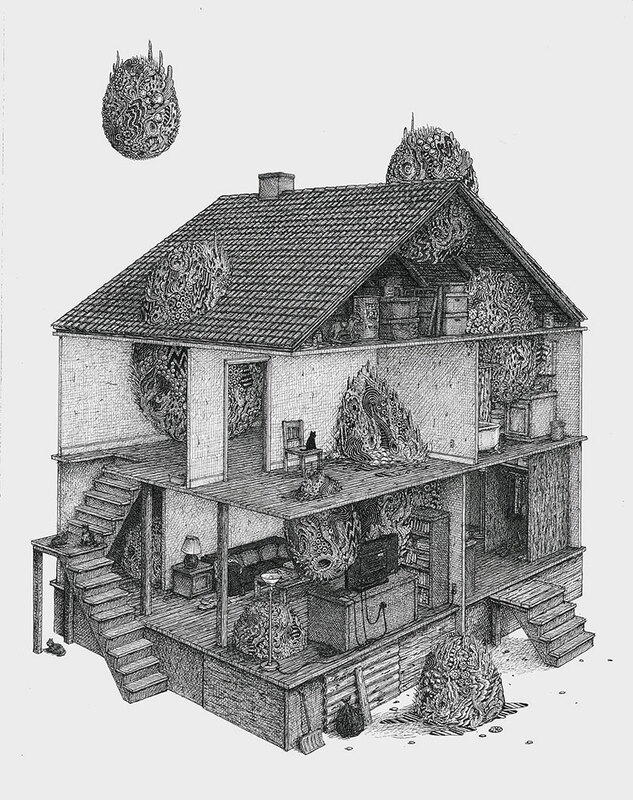 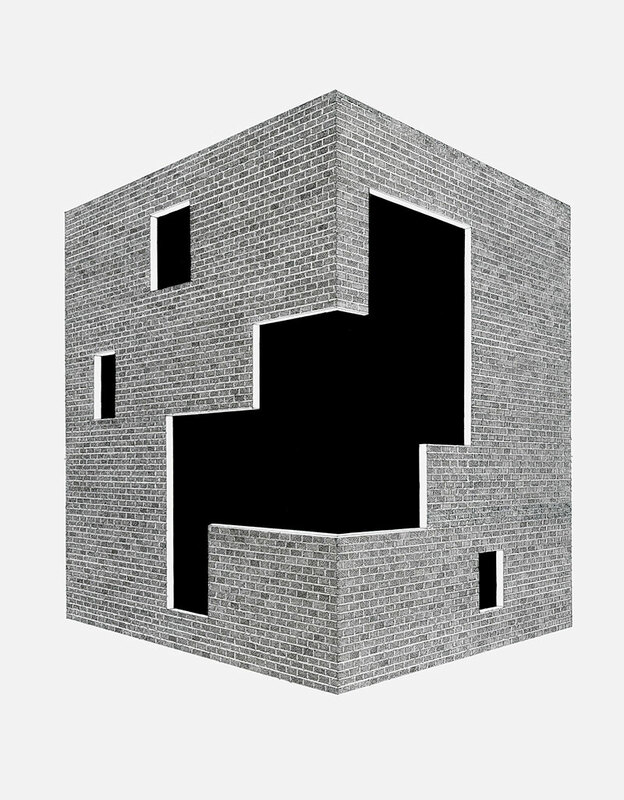 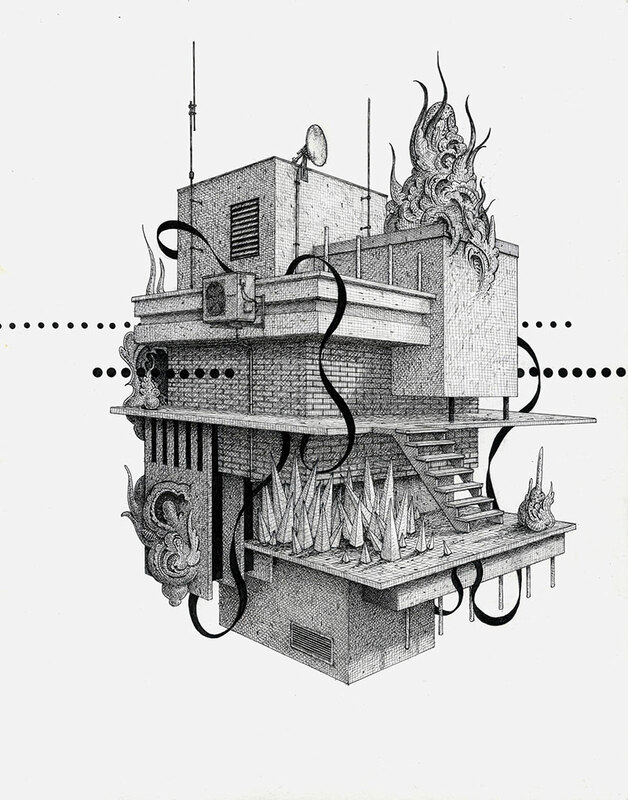 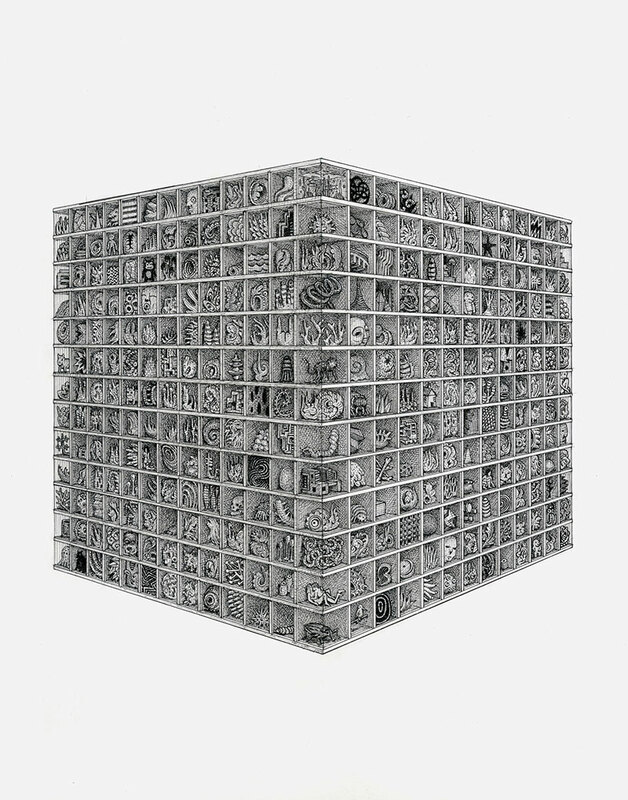 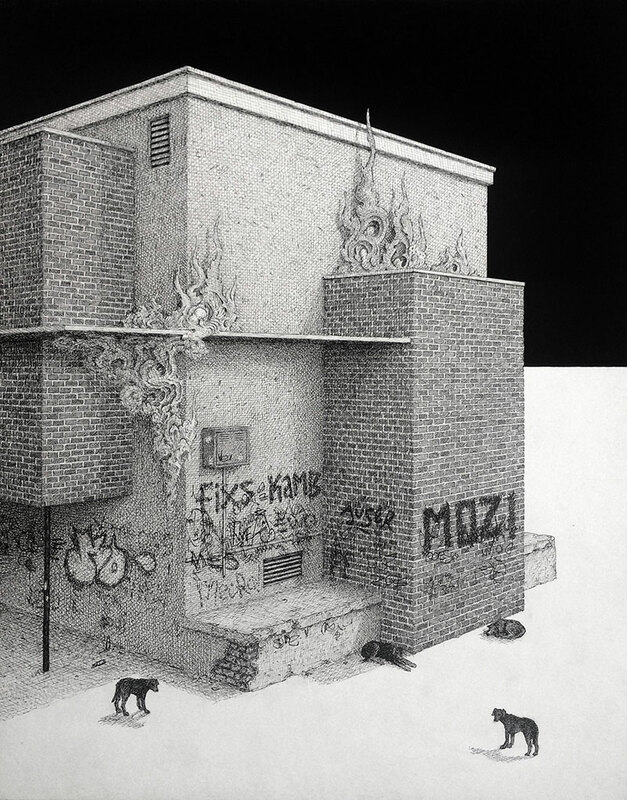 The drawings condenses juxtaposing environments to form a compact hodgepodge of surreal imagery and architectural realism, taking things into the improbable realm. 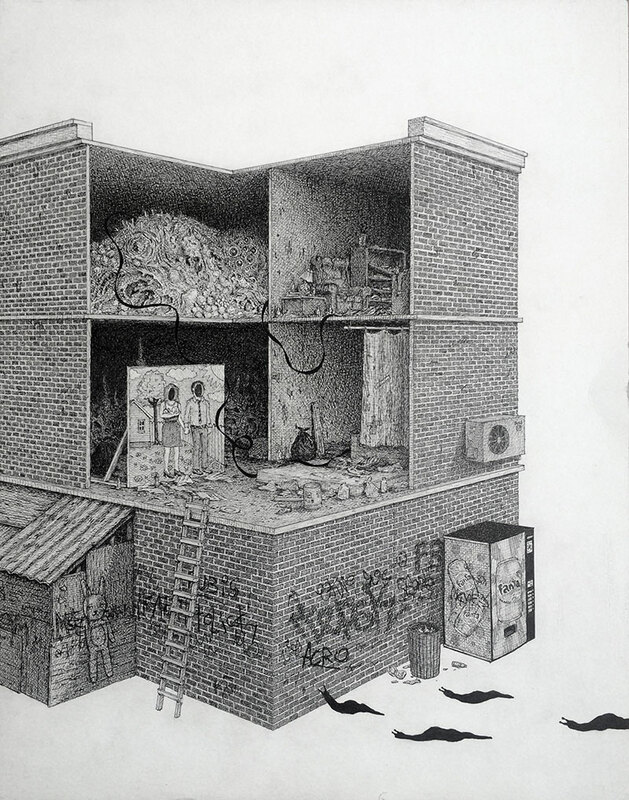 The works are meticulously rendered and you can lose yourself by poring over the details of the dense urban landscapes that feature everything from debris, graffiti, buildings, animals, shanty towns, and what looks like a cabinet of curiosities. 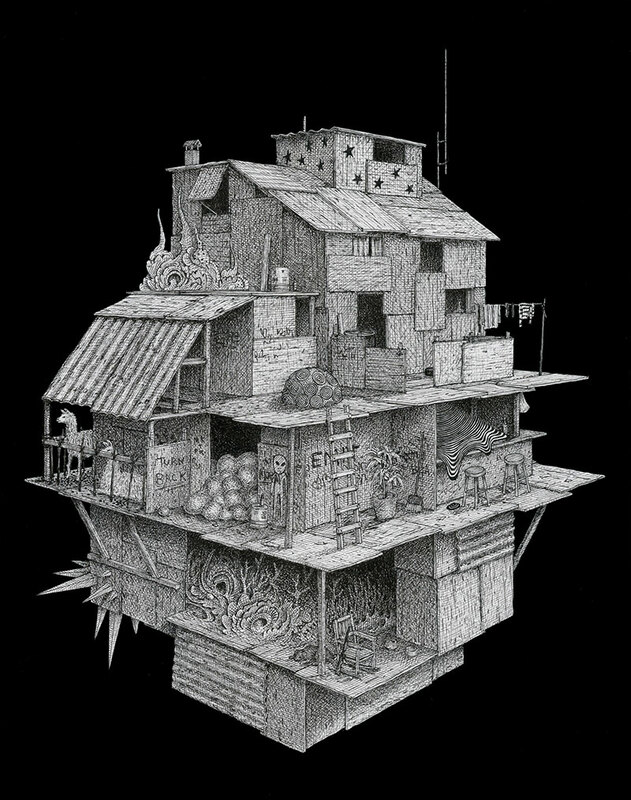 After spending some time in Bosnia, Washington DC-based artist Ben Tolman created a series of ink drawings that depicts the urban sprawl of Sarajevo.